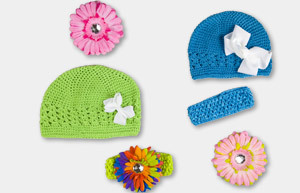 Little Divas Hair Accessories Sale: Prices Start At $3.00 + 10% Off or Free Shipping! Tons of Cute Bows, Hats + More! Little Divas Hair Accessories is having a sale on Totsy right now, with prices starting at just $3.00 for adorable hair clips! If you know a "little diva", I would definitely check out this sale! You can save another 10% using the code COUPONCABIN at checkout!